And on another day, I hoarded kids cowboy boots. Here's Ava modeling her new penny boots. She's also wearing her new $1.95 thrifted dress on her 70% off Target bedding. I meant to do a flipogram with these but I never got around to it. For me, the Rack isn't just about their penny deals. They have killer designer deals that first hooked me. The pennies are just the icing on the cake. After selling a whole bunch my blog sale I decided to treat myself...and with the Rack's triple point promotion right now it was a no brainer. 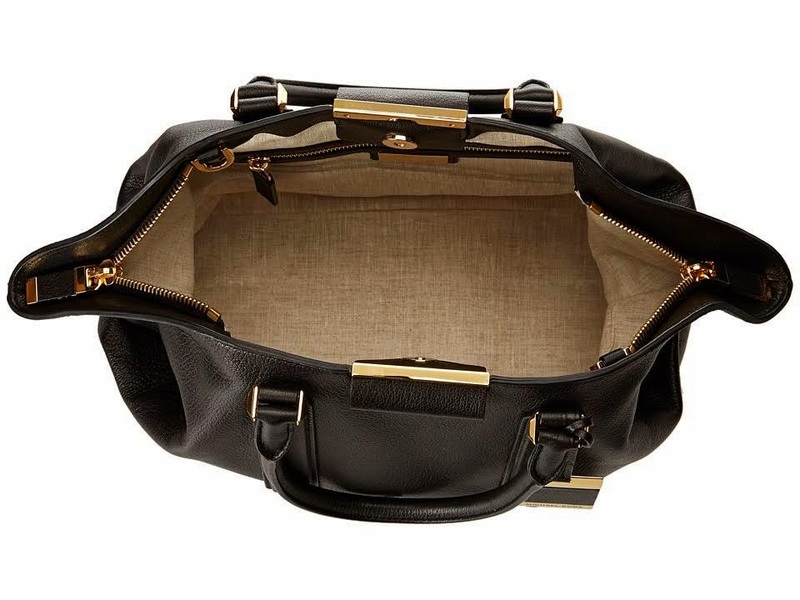 This Marc Jacobs small Gotham bag retailed for $1295 - and I got it for $259 (80% off)! The more I look at it, the more I obsess over it. I love the golden cabochons and heavy chain details. Yes, it's heavy but it's so special. I haven't loved a MJ bag so much since the Venetia. 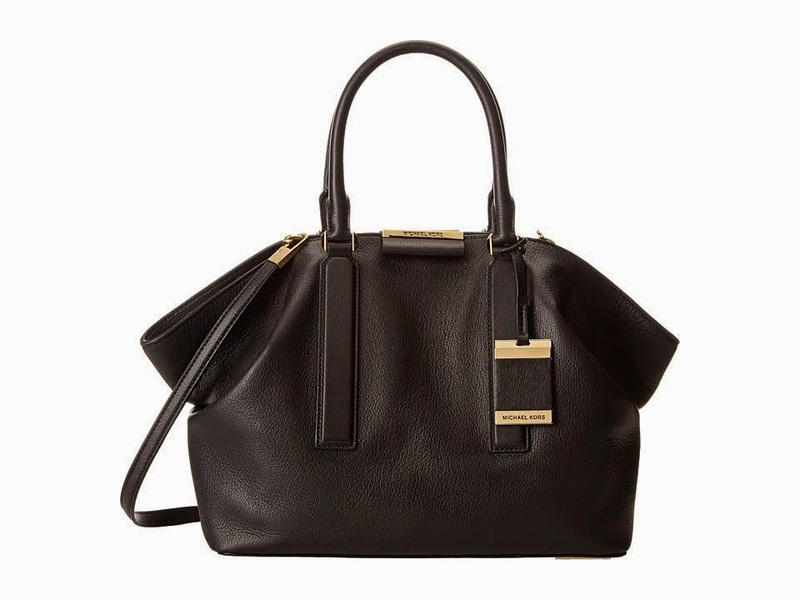 This Michael Kors collection black leather Lexi large satchel has gold hardware is currently retailing of $895 - get mine for $400 US shipped (cheaper for local pickup). It's in great shape - just a few light marks, nothing serious. This is not the cheaper Michael by Michael Kors - this is the real deal! 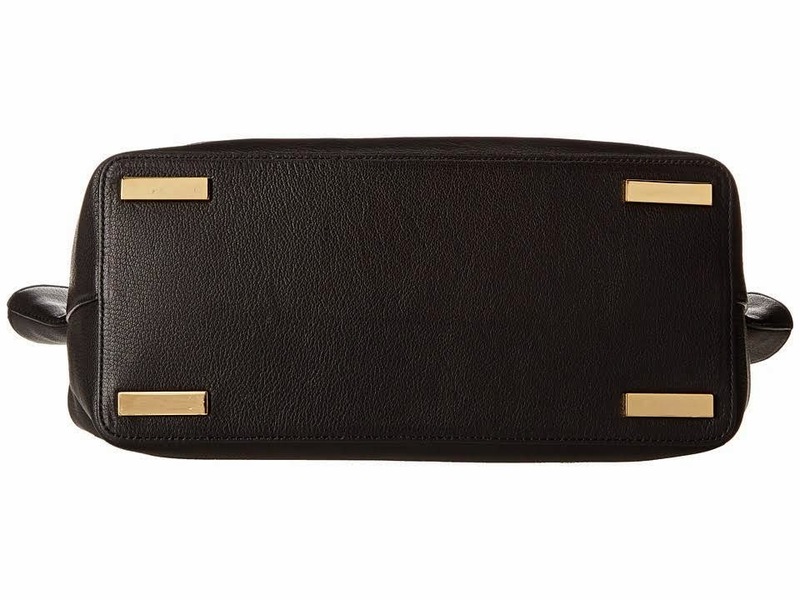 Very luxe, not too heavy and the perfect black bag. I already have a Gucci, Chanel and Balenciaga in black so someone please snap this up before I reconsider. 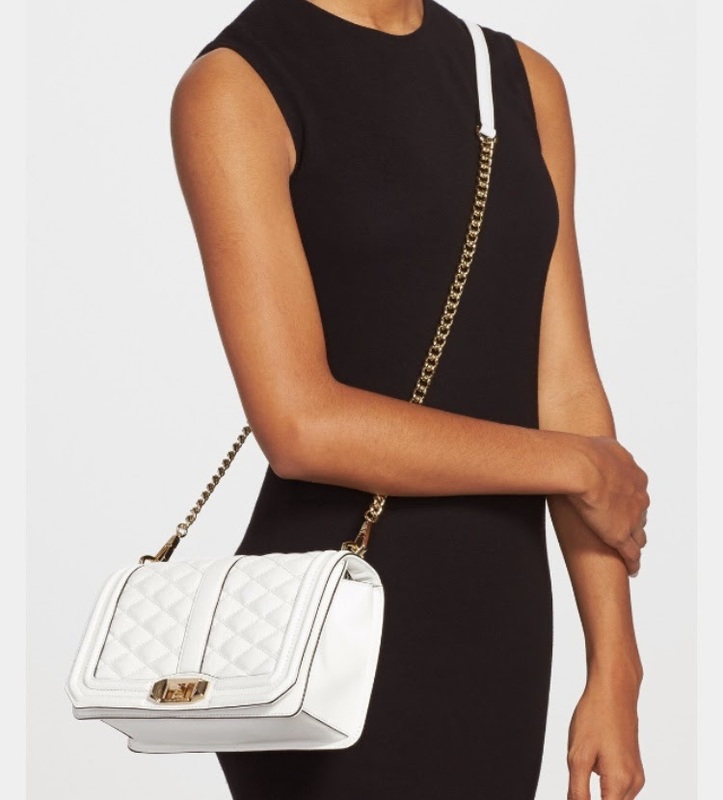 I also found this Rebecca Minkoff Love bag in opal, currently retailing for $325. Just a few light marks which are hard to see with the iridescence. 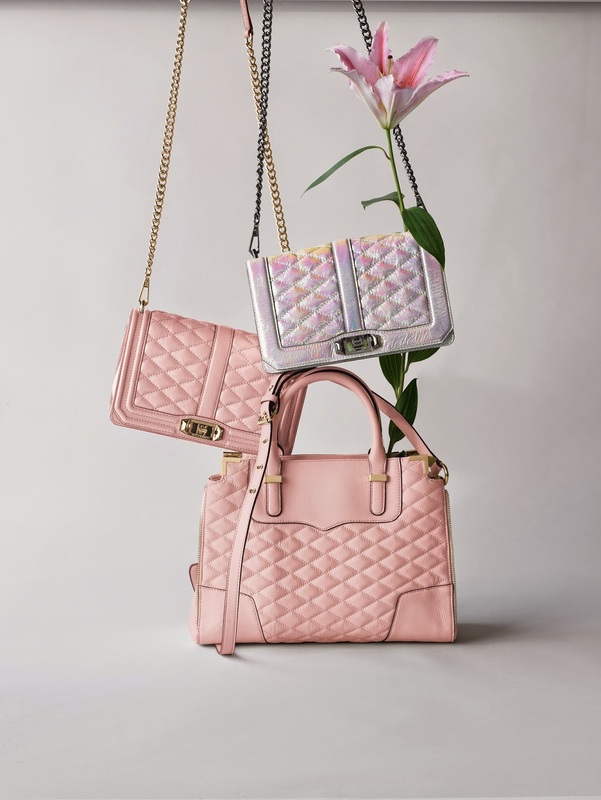 Perfect bag for Spring! Asking $180 US shipped (cheaper for local pickup). Not this color - just to get an idea of size. Last but certainly not least, I also keep forgetting to share this Dries Van Norten top that I purchased at the last Clear the Rack. Love their random assorted tags - they marked it $69.97 so it was around $52 after the discount. Pretty sure it's a $1500+ piece. It's currently discounted on Yoox for $683 :) I haven't a clue what to do with it but when things are that cheap I can't leave it. And that's my latest Rack roundup. Have a great weekend and happy shopping! Noo the browser ate my comment. Ah well. I was just saying that I am excited to have kids but also nervous of all the changes. Not just the obvious ones, like my body, but also the expenses. You keep them down with your amazing clearance/penny/thrifiting finds, though. You are totally my role model. I'm apprehensive because I'll have to learn to shop in whole new departments where I've never shopped before, like toys, kids clothes/shoes, etc. (lol I have 2 advanced degrees, lord knows why I find this so terrifying.) Maybe I should start practicing now. First step, though....move back near my parents for the free babysitting. Anyway, your daughters are darling and they're going to grow up to be real beauties, too. They have exquisite bone structure, looks like they got it from you! And thanks. My ODD is my mini-me (with some of DH mixed in) but I have no idea where YDD comes from LOL. Both sides think she looks like the other. There's a penny mafia who frowns upon us finders talking about it because big brother is watching KWIM. If you go back and read some of my older Rack posts you'll find some pointers :) I will say that it's all about frequency and timing. I just look for older pieces and usually get lucky. I will buy the blahniks!! Hahahah. Thanks :) it's funny MJ has been off my radar for so long but there was something about this one.